A powerful liquid formula that will clean and brighten decks, fences and other weathered wood, helping restore the natural, like-new appearance. 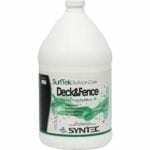 This product will removes UV damaged, gray wood fibers, ground-in dirt and stains from mildew and algae on decks, fences and other exterior wood structures. Also removes nail bleed and dark tan- nin bleed from tannin-rich Cedar, Redwood, Mahogany, Ipe and more. A dual purples product that neutralizes,cleans and brightens decks, fences and other weathered wood, helping restore the natural, like-new appearance. This product will removes UV damaged, gray wood fibers, ground-in dirt and stains from mildew and algae on decks, fences and other exterior wood structures. Also removes nail bleed and dark tannin bleed from tannin-rich Cedar, Redwood, Mahogany, Ipe and more. Great for use as a neutralizer after paint strippers have been applied. Clean and brighten decks, fences and other weathered wood, helping restore the natural, like new appearance. This product will removes UV damaged, gray wood fibers, ground-in dirt and stains from mildew and algae on decks, fences and other exterior wood structures. Also removes nail bleed and dark tannin bleed from tannin-rich Cedar, Redwood, Mahogany, Ipe, and more. A deep cleaning powdered biodegradable, non-flammable, non-corrosive detergent with no solvents in its formulation. This product will not etch glass nor will it harm plants. 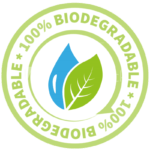 This product will easily carry dirt and other environmental debris from the surfaces being cleaned. Used by professionals to restore a new appearance to dirty, discolored limestone, poured concrete and walkways, precast or poured aggregate, travertine and more. It contains no hydrofluoric acid, cleans without leaving yellow stains, and will not etch glass. This product will safely remove atmospheric dirt, mildew, rust, and many other surface stains without risk of bleaching or discoloration. This product also works well to remove rust and oxidation from aluminum. Specially designed product for use on new concrete. This specially balanced solution designed for removing excess mortar and efflorescence from new masonry applications. NEW CON can be used on virtually any type of brick, block, stone, cast stone, pre-cast. This product is safe to use on or around glass. 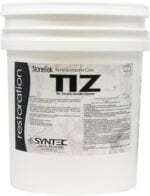 A non hazardous concrete cleaner and brightener. Formulated for cleaning of new masonry and concrete. This product is safe to use and store and contains no harsh odors. Used as described, in the directions, there should be no significant impact on the plants or soils of the job site but protecting landscape should be taken. Rest Con is safe for virtually any type of brick, block, stone, or pre-cast. Rest Con will solve a host of problems including efflorescence, lime putty, and most mineral stains. Used by professionals to restore a new appearance to concrete surfaaces and walkways, precast or poured aggregate, travertine and more. It contains no hydrofluoric acid, cleans without leaving yellow stains. This product will safely remove atmospheric dirt, mil-dew, rust, and many other surface stains without risk of bleaching or discoloration. A low foaming heavy duty acid cleaner that is perfect for restoring life to grout. After dirt, oils, and waxes have been removed using Revive, Fizzle will attack the grout, removing mineral deposits and heavy duty stains. This fast acting grout cleaner leaves behind a clean fresh look to almost any grout line. FIZZLE works effortlessly, eliminating the need for heavy scrubbing, cleaning, and resurfacing.